Did you know that the beauty of thin and delicate hair depends on the five most important factors? They must be strong, nourished, smooth, firm and full of volume. 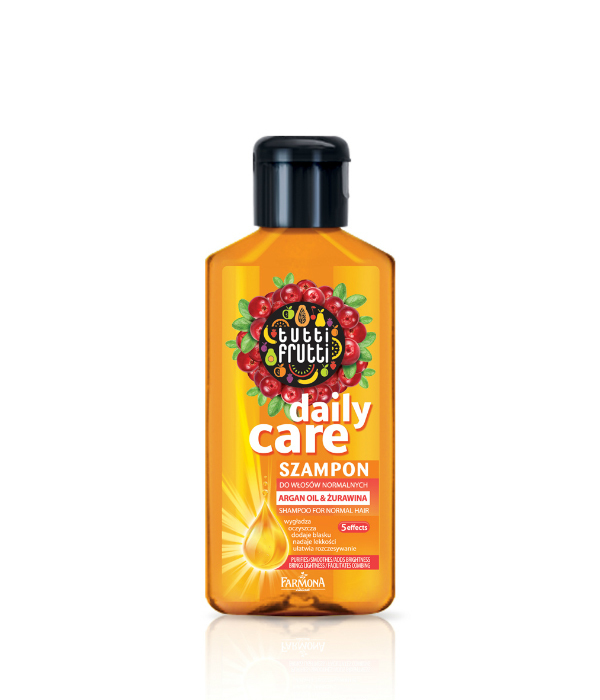 Therefore we created Tutti Frutti Keratin Power shampoo based on 5D KERATIN BOOST formula. This new five-dimensional technology strengthens and nourishes the hair, improves their flexibility, gives visibly greater volume. It smoothes the hair structure to the ends, making it easier to comb and prevents static. VISIBLE EFFECT: power and volume.